We as parents find our babies running about in their diapers so extremely cute! And till they’re not potty trained, we make them wear a diaper overnight and whenever we’re having a baby’s day out. Kudos to mommies who make their babies wear minimal diapers, but I am one of the regular mom’s who still relies on diapers, as my baby is not potty trained yet. I obviously buy the best diapers available out there for my kiddo, but there are times when the diaper gets heavy and wet, like during the rains or winters when everyone tends to pee frequently. If for any reason his diaper is on for way too long, he get’s prone to rashes. Why just kids, mommies, even if you use your sanitary napkins for too long, you’ll get rashes, so imagine your li’l munchkin who wears a diaper every day (or night)! That’s why I always keep some diaper cream handy, and just like most of the other baby care products, I trust Himalaya’s Diaper Rash Cream. Himalaya BabyCare has recently changed the packaging of their diaper cream, and now it comes in a standing tube, and I prefer this one to the old tube. Himalaya’s Diaper Rash Cream, while promoting effective healing, soothes red and irritated skin and forms a protective layer on baby’s skin. Because the skin in that region is the most sensitive, I would never take any chances with harsh ingredients like parabens or chemical based products. 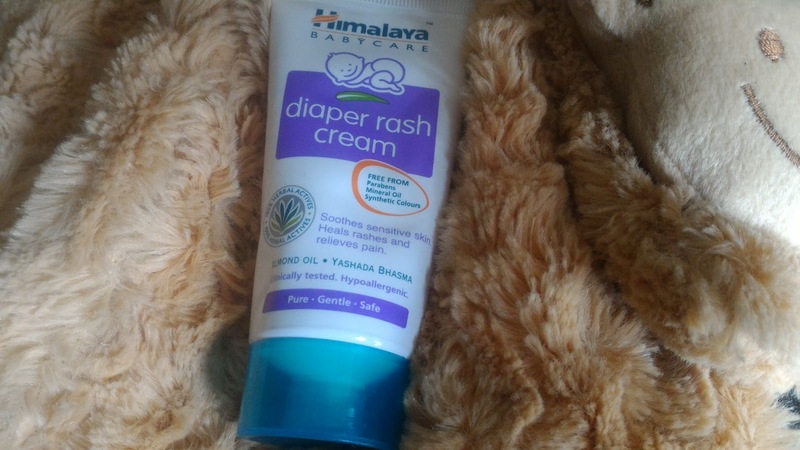 The natural and herbal ingredients in the Diaper Rash Cream, as well as other Himalaya Baby Care products make me choose them every time. There are some other diaper rash products or protective creams which tend to make the baby’s skin dark with frequent use. I have not seen that with the Himalaya Diaper Rash Cream. Apart from the diaper rash cream, I’d recommend you to wash your baby’s private parts at least twice a day (or clean with wipes if travelling) and avoid keeping your li’l one in a diaper for too long, after all till they can’t talk it’s very difficult for them to express their discomfort, and you might take their irritated expressions to be a sign of gastric issues or being fussy. This doctor didn't just stop with the problem of Urtikaria, but proactively took the next step to see how she can help better my skin even more. She is so patient and professional, explaining everything so clearly and empathizing so readily. This scrub top is long enough to hide my tummy too! It is a women's cut, not Juniors. Very nice material. I ordered the black scrub pants to match! I ordered them in black, pink and green. All colors look really nice.